CEP socks are available in different models here in the web shop and in stores. For example the CEP Run Socks 3.0: This further development of the successful Run Socks additionally offers integrated metatarsal compression for even greater foot comfort. Ideal for runners, triathletes and endurance athletes. 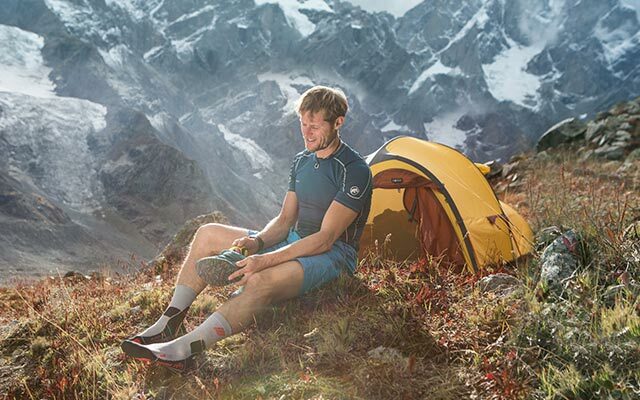 Trail runners will especially enjoy Run Merino Socks with high-quality merino wool for unmatched wearing comfort. We recommend the performance-enhancing CEP Short Socks for spring and summer. These ankle socks are great when it’s hot outside. The CEP Short Socks provide proprioceptive ankle and arch stabilisation and help prevent muscle and joint injuries. CEP even has sports socks for passionate wintersport athletes. The CEP Ski Merino Socks give you an awesome skiing experience with optimum heat and moisture management no matter what your level of ability – for enhanced performance and more fun on the slopes.